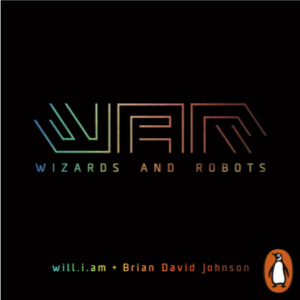 Audio Published by Penguin Books Ltd.
WaR: Wizards and Robots is a complex story taking place across several different time periods as humans, robots, wizards, and aliens fight to make their vision of the future a reality. Ada Luring is struggling to cope with the death of her father, the fact that her best friend has a new best friend, and that her ex-boyfriend is moving on. The arrival of Gellar, a wizard who warns her that other wizards are coming to kill her, her mother, and destroy her mother’s robot, Hawking, makes all of these other concerns trivial by comparison. Can a robot hating wizard and a budding robotic engineer work together to save the world? 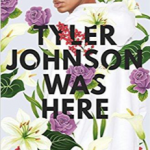 This intricately plotted, ever intensifying book uses flawed, yet relatable characters to delve into issues of fraught parent/child relationships, struggling friendships, technology’s impact on humanity, finding confidence in your abilities, and how the past impacts the future. 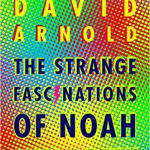 The engrossing narration features multiple narrators who provide an immersive retelling of the story. The multiple narrators helps to alert listeners to the quickly changing time period and narrator point of view throughout the book. Fans of Dr. Who may enjoy Will.i.am and Brian David Johnson’s take on time traveling to thwart invading aliens bent on destruction. Readers who enjoyed Frost by M.P. Kozlowsky for the A.I. aspects may enjoy Ada’s relationship with her robot friends and Sara Luring’s work to help Hawking evolve. Fans of linear or straight-forward plot lines may be turned off by the time jumping and shifting points of view. Alvie Fitz understands the world a little differently from everyone else. She’s autistic, survived a traumatic childhood and has difficulty relating to and getting along with her peers. Alvie is turning 17 and hoping to keep things together so that her legal emancipation will go through and she will not ever be sent to a group home, having been brutally bullied at one before. She works at a local zoo and understands the animals’ psychology and behavior better than that of the humans that surround her. At the suggestion of her court assigned social worker, Alvie strikes up a friendship/romance with a boy whose phone she finds, Stanley Finkle. Alvie worries that she’s too different to be with Stanley, meanwhile Stanley who walks with a cane, has piercing blue eyes and blue sclerae has secrets of his own. 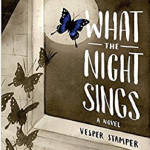 When Chance, a bird or prey that Alvie connects with is threatened, Alvie makes decisions that end her employment and start unraveling all aspects of her life. 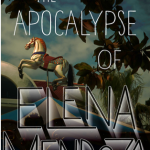 Will she decide to come to terms with the childhood memories she’s locked deep inside her subconscious or will she let them continue to consume her and unravel her life? 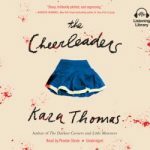 Tavia Gilbert does a superb job of differentiating the voices in this audiobook, from Alvie’s boss at the zoo, to her social worker, to Stanley, to Alvie herself. She beautifully captures Alvie’s struggle within herself and with the outside world. Gilbert evokes a kindness and calmness through Stanley, making him an immediately likeable character. The story is heartbreaking and devastating, but also hopeful and wraps up nicely at the end. 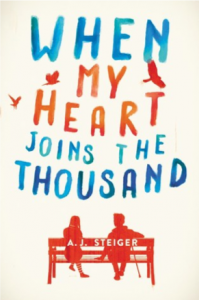 The story is powerful and will resonate with readers like Jennifer Niven’s All the Bright Places. This title will appeal mostly to older teens. Next Post 2018 Teens’ Top Ten Nominees Announced!